could help to improve diabetes treatments. New research has found that venom extracted from a species of marine cone snail could hold the key to developing ‘ultra-fast-acting’ insulins, leading to more efficient therapies for diabetes management. Researchers from Australia and the US have successfully determined the three-dimensional structure of insulin found in cone snail venom, revealing how this highly efficient natural protein called Con-Ins G1 can operate faster than human insulin. Associate Professor Mike Lawrence from Melbourne’s Walter and Eliza Hall Institute of Medical Research led a collaborative study between the University of Utah, the Monash Institute of Pharmaceutical Sciences, La Trobe University and Flinders University. how these proteins work faster than human insulins. “We found that cone snail venom insulins work faster than human insulins by avoiding the structural changes that human insulins undergo in order to function – they are essentially primed and ready to bind to their receptors, “ Associate Professor Lawrence said. Associate Professor Lawrence said human insulins could be considered ‘clunky’ by comparison. 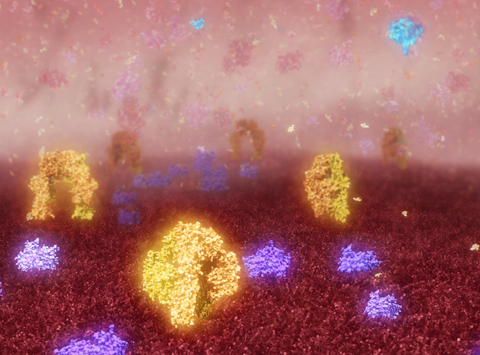 “The structure of human insulins contain an extra ‘hinge’ component that has to open before any ‘molecular handshake’ or connection between insulin and receptor can take place. 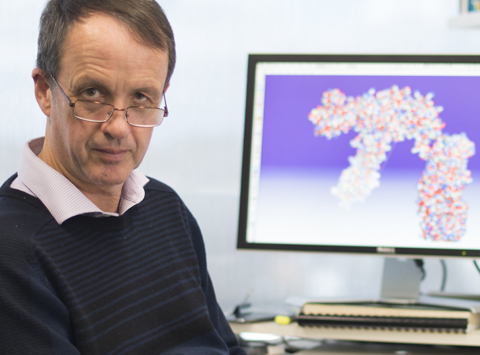 “By studying the three-dimensional structure of this snail venom insulin we’ve found how to dispense with this ‘hinge’ entirely, which may accelerate the cell signalling process and thus the speed with which the insulin takes effect.” Associate Professor Lawrence said. Published today in Nature Structural and Molecular Biology, the team’s findings build on earlier studies from 2015, when the University of Utah reported that the marine cone snail Conus geographus used an insulin-based venom to trap its prey. Unsuspecting fish prey would swim into the invisible trap and immediately become immobilised in a state of hypoglycaemic shock induced by the venom. Dr Helena Safavi-Hemami from the University of Utah said it was fascinating to uncover how the cone snail insulin was able to have such a rapid effect on its prey and, furthermore, that the peptide had therapeutic potential in humans. “We were thrilled to find that the principles of cone snail venom insulins could be applied to a human setting,” Dr Safavi-Hemami said. “Our Flinders University colleagues have shown that the cone snail insulin can ‘switch on’ human insulin cell signalling pathways, meaning the cone snail insulin is able to successfully bind to human receptors,” Dr Safavi-Hemami said. “The next step in our research, which is already underway, is to apply these findings to the design of new and better treatments for diabetes, giving patients access to faster-acting insulins,” she said. Research in the Institute’s Lawrence laboratory is supported by the National Health and Medical Research Council.